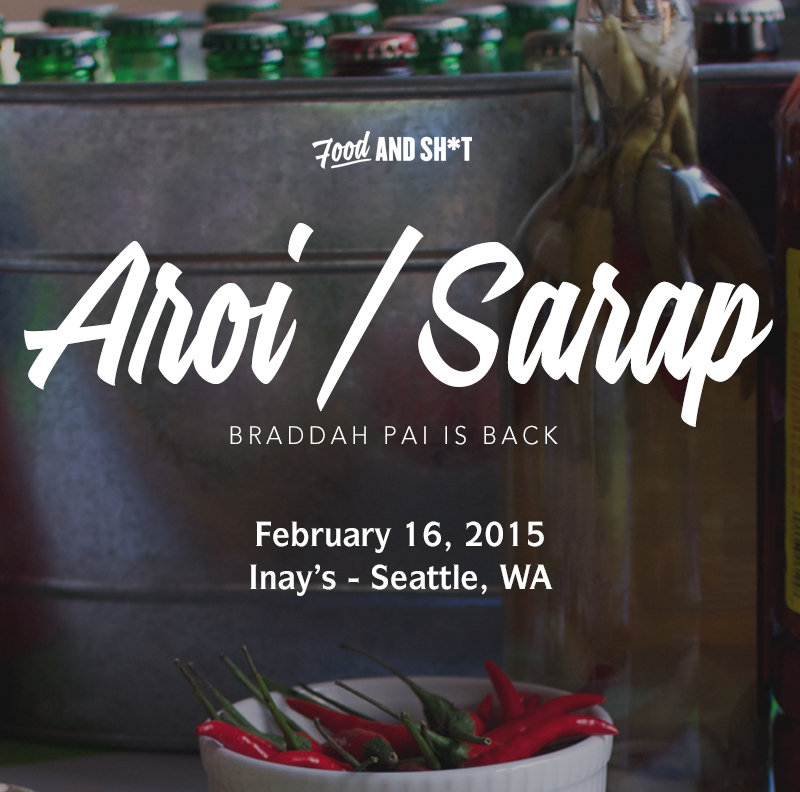 Food & Sh*t is a Seattle Filipino pop-up restaurant series founded in 2013 by Chera Amlag & Geo Quibuyen. 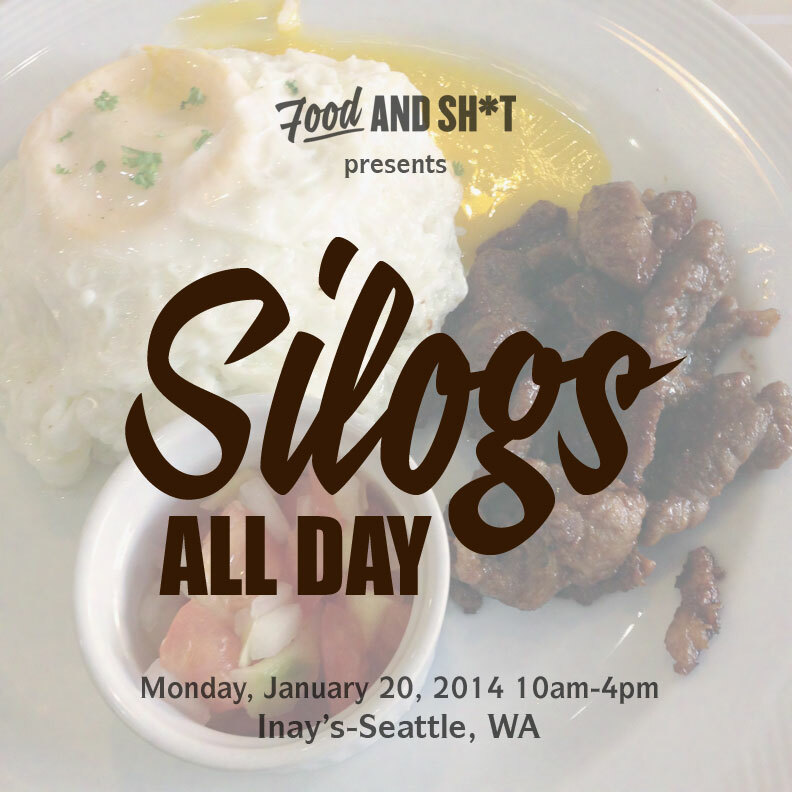 Food & Sh*t began as a monthly pop-up restaurant in September 2013 hosted every 3rd Monday at Inay's Asian Pacific Cuisine in Seattle's Beacon Hill neighborhood. 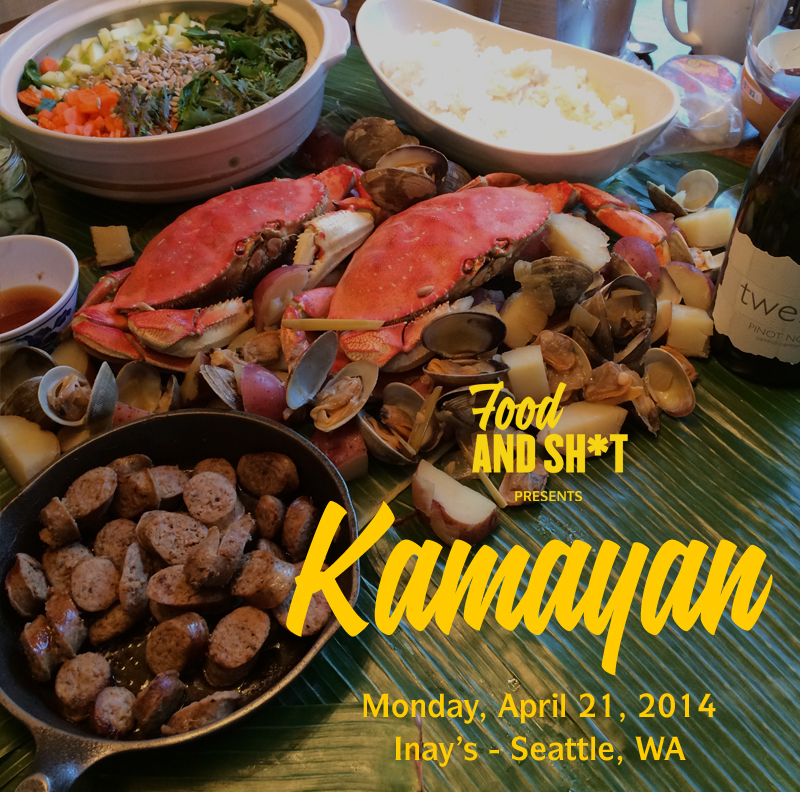 Rooted in the tradition of the communal home-cooked Filipino dinner and weekend potlucks, each 5-course prix-fixe dinner showcased Filipino flavors and techniques with a Pacific Northwest vibe. Sometimes, we'd experiment with new interpretations of old classics, sometimes we'd stick to tried-and-true recipes passed down through generations. Sometimes we'd collaborate on menus with other chefs and community members. Each menu told a different story, each course a chapter told through food. Music was central to the experience, whether showcasing live performances or curating playlists that tied in with the menu's theme. 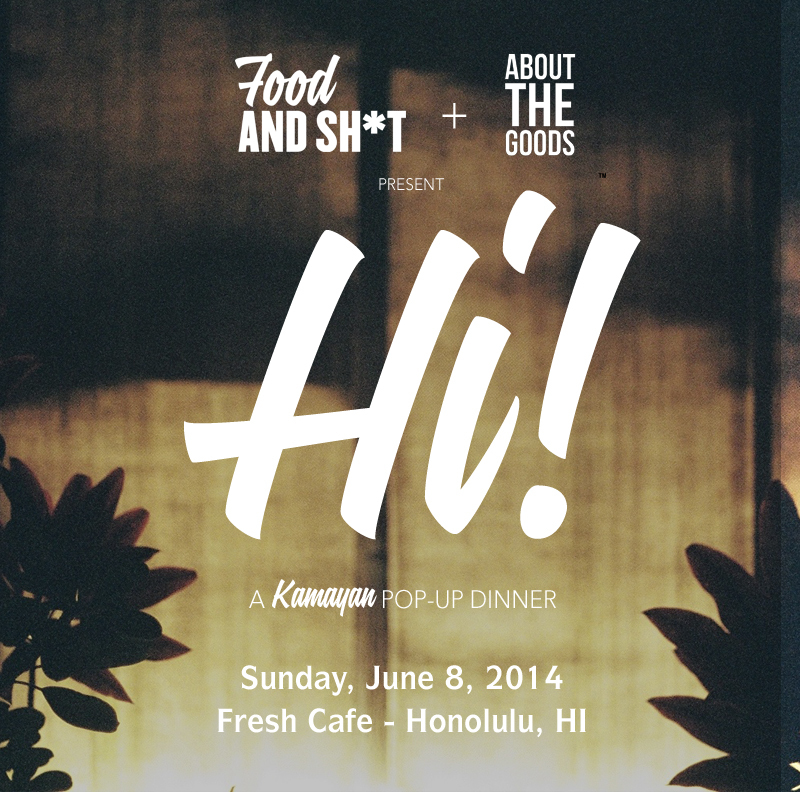 With each successive event, Food & Sh*t became known for promoting Filipino and Northwest cuisine while creating a fresh vibe and community space in a rapidly-changing city. 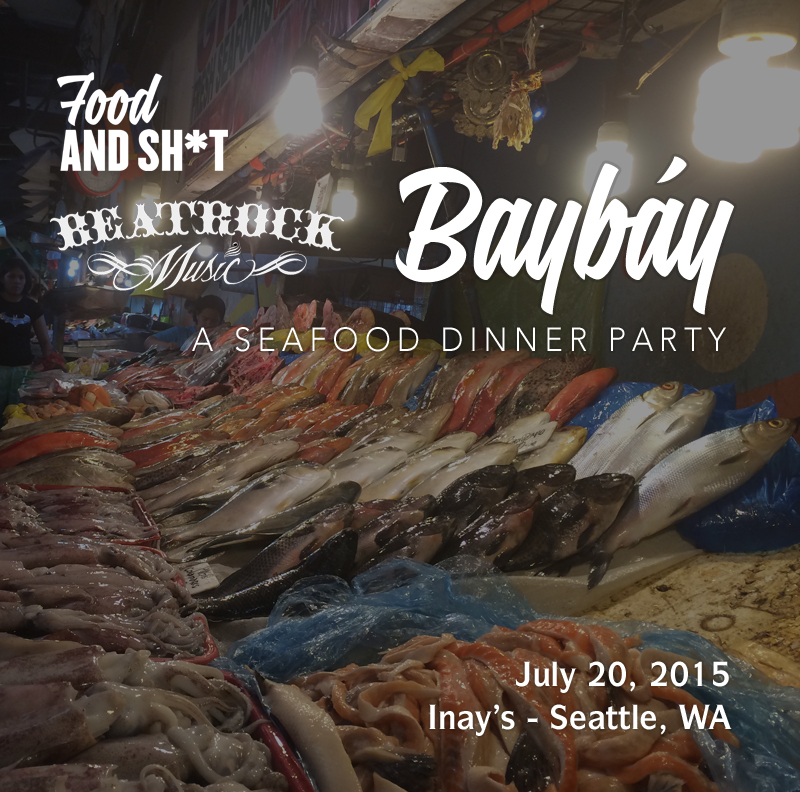 In late 2015, Inay's closed down, and Food & Sh*t relocated to Kraken Congee in Seattle's Pioneer Square. 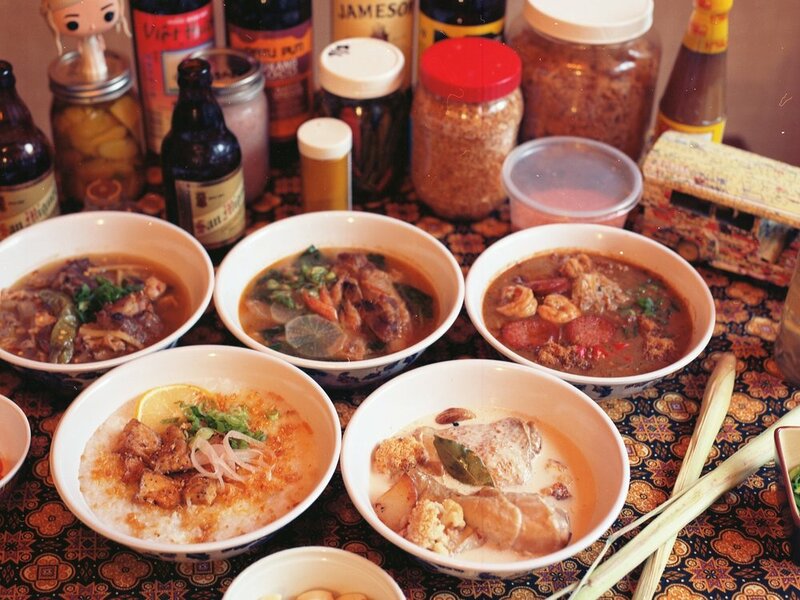 From August 2015 to June 2016 at Kraken Congee, Food & Sh*t ran a monthly a-la-carte menu format branded "The Comfort Room" featuring seasonal Filipino comfort food. In addition to holding it down in Seattle, Food & Sh*t had the opportunity to cook outside of Seattle, popping up in Portland, Honolulu and a weekend run at POT restaurant in Los Angeles. In Summer 2016, the Food & Sh*t team put its monthly pop-up events on hiatus to pursue the opening of Hood Famous Bakeshop. Chera's desserts from the Food & Sh*t pop-up dinners became a big attraction, developing a reputation and demand over time. One item--the Ube Cheesecake--took on a life of its own. What began as a one-time item turned into a mainstay on the pop-up menu. The purple cheesecake's growing popularity led to an opportunity to begin retailing at Uwajimaya's Seattle grocery store location under the Hood Famous Bakeshop brand operating out of a comissary kitchen. Within a year, an expanded offering of cheesecake flavors became available in multiple locations, and the bakeshop had outgrown its kitchen. 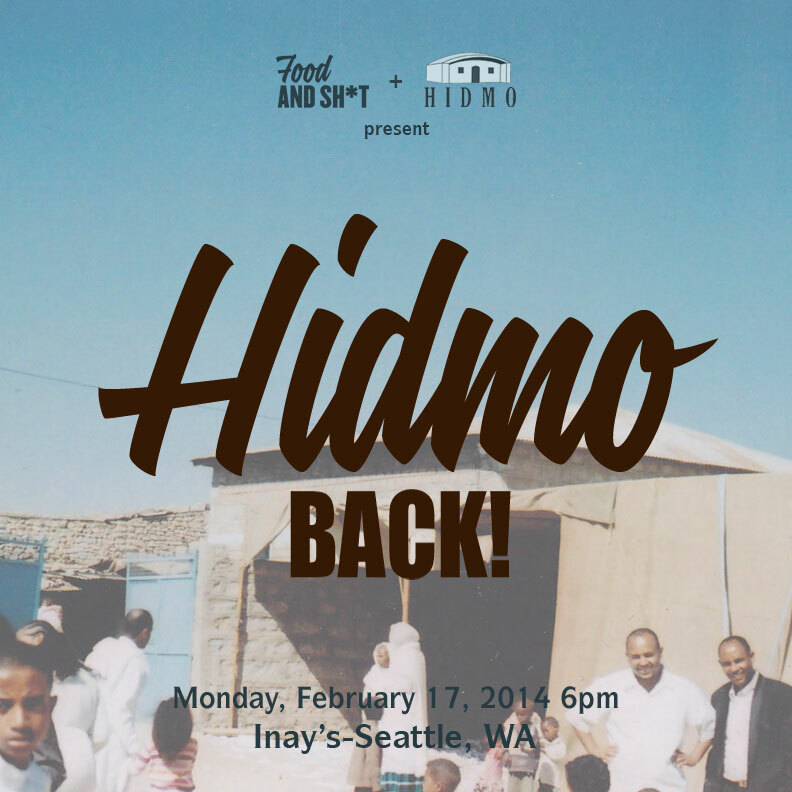 In October 2016, Hood Famous Bakeshop went brick-and-mortar with a dedicated production kitchen and walk-up retail counter in Ballard, carrying on the spirit of the Food & Sh*t pop-ups with original takes on desserts featuring Filipino flavors as well as traditional Filipino sweets made with local ingredients. 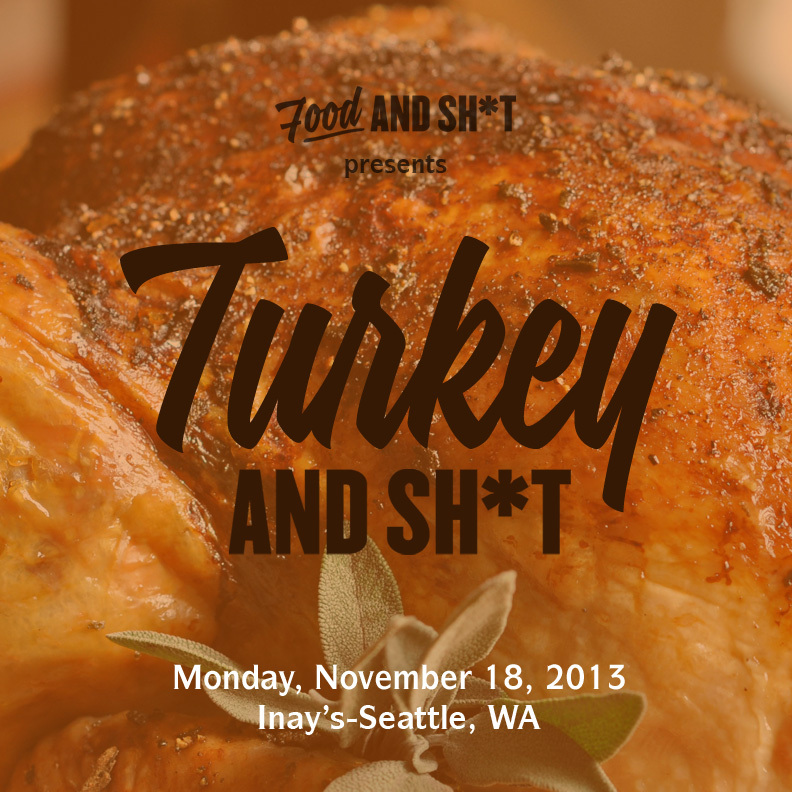 What does the future hold for Food & Sh*t? Who knows. What is known is that although the monthly pop-up dinner's initial run has come to an end, Chera and Geo continue to run Hood Famous bakeshop, collaborate with local chefs, and occasionally reform the Food & Sh*t team for one-night events, festivals, catering gigs and private dinners. For now, Food & Sh*t has returned to the home kitchen it was born in, continuing to hone its craft, learning from other cooks, hosting potlucks and dinner parties, and having conversations about food and its intersections with politics, economics and culture. 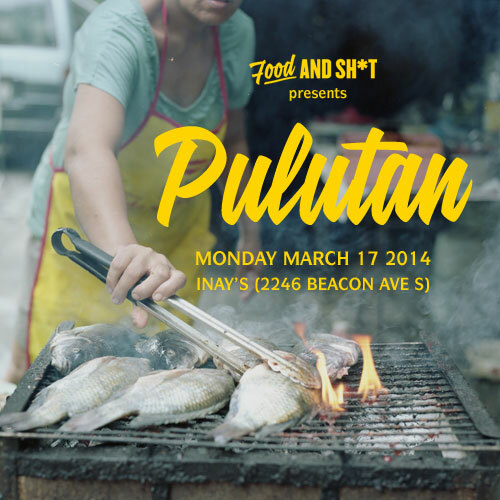 As an idea that lives on, we'll never stop innovating new approaches to old dishes as well as honoring the traditions which we come from, supporting others who are expanding the idea of what "Filipino Food" means, and occasionally popping up to feed the people.